Searching for some cute and funny 60th birthday wishes for your loved ones i.e. your husband, wife, mum, dad, brother, sister or friends. If yes, now you don't need to search for them anymore. As here I have compiled down some of the best funny 70th birthday quotes, wishes and messages for your love ones. Just hope you will like this quote compilation and able to find some good messages to say or write down to convery your Happy 60th Birthday wishes to your beloved ones. You're not 60 years old — you're 60 years young. Happy 60th birthday! You still look fabulous at 60. Happy 60th birthday! 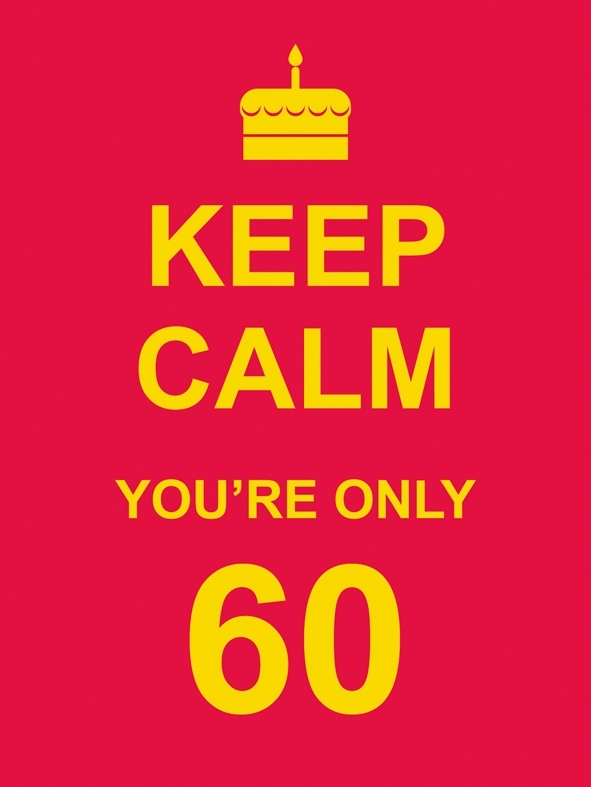 You're not 60 years old — you're 60 years wise. Happy 60th birthday! Forget the block when you're sixty — you've been around the entire neighborhood a few times. Happy 60th birthday! 60 is the new 40. Happy 60th birthday! You have to change your ID, because they made a mistake. You are not 60. You are just a 40 year old with 20 years of experience. Happy 60th birthday! There’s nothing the matter with you. The older you get, the more attractive you become. Happy 60th birthday! Age is just a number. You aren't sixty if you don’t feel like it. Happy 60th birthday! It took 60 years for you to look this happy. Happy 60th birthday! What’s the matter with you? The older you get, the more attractive you become. Drink, eat, jump and dance as much as you can stand tonight, but not too much, because you are sixty now. Happy 60th!